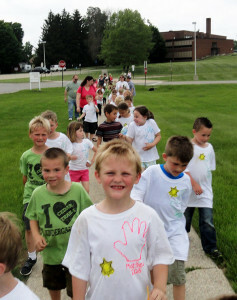 Mrs. Bellamy’s (white t-shirts) and Mrs. Dault’s (green t-shirts) kindergarten classes went on a community walk on Friday, May 29. 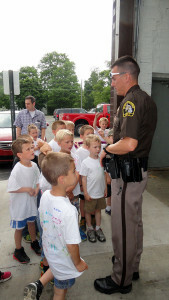 This hands-on learning experience included stopping at the police station, where students learned how they can stay safe and what policemen and women do. 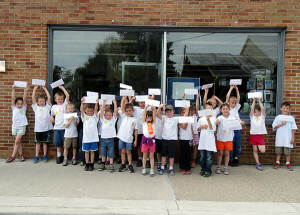 Next they stopped at the Post Office, where students mailed a persuasive letter they had written. 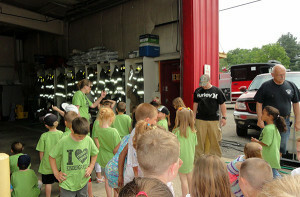 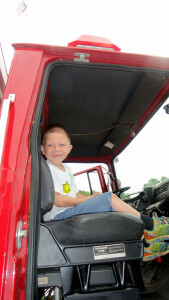 This was followed by a trip to the fire station, where students were able to explore an ambulance, firetrucks, and fire equipment. 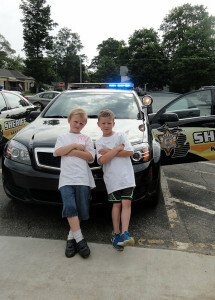 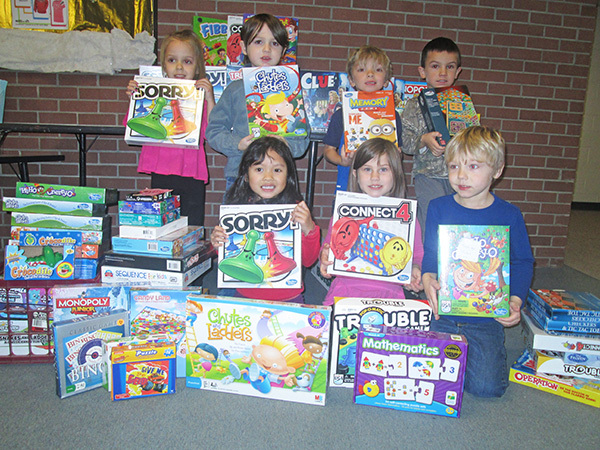 Then they took a rest at the library, where they learned about the summer reading program and listened to a good story. 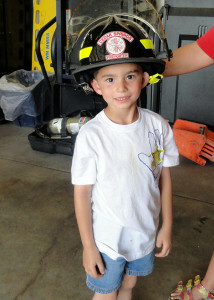 The last stop was pizza and play at Morley Park.